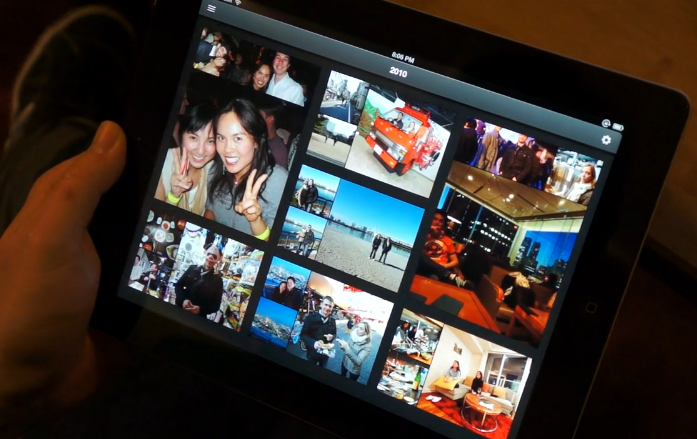 Everpix, the startup that organizes all your photos in the cloud (and a previous TechCrunch Disrupt 2011 finalist), has just closed a $1 million seed round led by Index Ventures. The round also saw participation from 500 Startups, Kii Capital, 2020 Ventures’ David Williams, and other angel investors. According to Everpix co-founder Pierre-Olivier Latour, the funding is helping the company, which has been flying under the radar for several months, to establish enough of a runway to get to its forthcoming 1.0 release, expected in just a couple of weeks from now. For those unfamiliar with Everpix, the service includes an online interface as well as desktop and mobile software which pushes all the photos from your computer (iPhoto, Aperture, local folders, etc.) or from your phone’s storage into the cloud, and then aggregates those along with others from services like Flickr, Facebook, Picasa, and more. But Everpix’s value isn’t just in aggregation, it also automatically de-duplicates photos, organizes them into smart albums it calls “Moments,” and even automatically hides those that are blurry, out of focus, or under or overexposed. Plus, Everpix pays careful attention to privacy – controls are simple and the default is private, not shared. There’s also a new feature being introduced called “Photo Mail,” which will be a simple way to share photos, a streamlined user interface, improved navigation, enhanced image analysis capabilities, and more. Although Latour isn’t ready to share Everpix user numbers, he did say that the company has seen some 55 million photos uploaded to the service between its alpha and beta period. Interestingly, over two-thirds of these come from offline storage (around 60% are in iPhoto, 27% in the Pictures folder on Mac. The Windows version has yet to launch, we should note). Another 15% come from Picasa, 8% from Flickr and even fewer from Facebook – but that’s because Everpix only uploads the photos you’re tagged in, not your albums. That wasn’t always the case, Latour explains, but they found that the majority of the photos you shared on Facebook were duplicates of what Everpix was already pulling in from other sources. We’ll take a look at the new version of Everpix when it’s ready for its public debut, but in the meantime, you can sign up to be notified here. San Francisco-based Everpix was founded by former Apple employees Pierre-Olivier Latour and Kevin Quennesson, as well as Wayne Fan, previously of frog design. With the new seed round, the company has raised $1.8 million in total funding to date.